TEHRAN - Daniel Pipes, president of the Middle East Forum, says the Iran nuclear deal, officially called the Joint Comprehensive Plan of Action, "is popular internationally". In an exclusive interview with the Tehran Times, Pipes also says despite objections by President Donald Trump "the JCPOA does seem to be permanent." Tehran Times: President Trump first declared he would abolish the Joint Comprehensive Plan of Action (JCPOA. the Iran nuclear deal), then he called for new negotiations. Will he eventually accept the JCPOA? Daniel Pipes: It looks like it. There's a huge distance from calling the deal a "disaster" and "the worst deal ever negotiated" during the electoral campaign and recently verifying the accord. Given the quick changes characteristic of the nascent Trump administration, it's very hard to predict, but the JCPOA does seem to be permanent. Pressure on Tehran is taking other, non-nuclear, forms, especially jihadi violence. TT: If President Trump abolishes the JCPOA, what will be the reaction of U.S. allies? DP: The deal is popular internationally. Yes, several Middle Eastern allies – especially the Sunni Arab states and Israel – would welcome abrogation of the JCPOA by the U.S. government but most elsewhere the reaction would likely be cool to frigid. 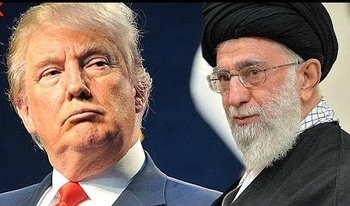 Neither Trump nor Khamene'i is a JCPOA fan. TT: President Trump states that JCPOA is not good deal for U.S.; do you think a better deal than JCPOA is possible, one that all parties to the negotiations agree to? DP: I cannot imagine a re-negotiation of another deal. The supreme leader and many others in Iran do not think highly of JCPOA, so it's hard to see them agreeing to a new deal that gives Washington more than the current one. TT: What is President Trump's foreign policy in general toward Iran? DP: Trump's trip to the Middle East revealed the degree to which he sees the Iranian threat as the organizing principle of the region: "What's happened with Iran has brought many of the parts of the Middle East toward Israel." A common fear of Tehran (and to a lesser extent, of ISIS) seems to be the foundation on which he plans to build an Arab-Israeli alliance and with which to resolve the Palestinian-Israeli conflict. Like most observers, I expect this grand plan to fail, but he seems determined.